If you’re buying breakables or selling a sculpture online, then chances are you might require a fragile goods transport company to provide safe passage for your purchase. Many items that you might need to transport could be classified as “fragile” and will require special care during delivery, moving musical instruments or artwork for example takes a lot more care than shipping a breeze block. Fragile items are usually valuable, be it sentimentally or financially, which is why it pays to look for specialist couriers that are well versed in transporting delicate goods; specialists should have a wealth of experience in your item’s category and should have comprehensive insurance cover. Research: If you’re distance buying/selling antiques then make sure you know their worth; this will help you choose the right level of service when it comes to picking a delivery company. What’s more, it might prompt you to up the level of insurance beyond the standard cover of the courier. Inspection: Make sure you give your item a thorough check over.If you’re getting an item off eBay listed for collection then ask the seller for an accurate description, this way you’ll be able to see if it suffers any nicks or scrapes during transit. Get Wrapping: Your glassware isn’t going anywhere without a generous helping of bubble wrap or polystyrene. Make sure that your items are secure in a box where they can’t move about, and if moving stacked items ensure you provide padding between each layer. Fragile goods come in all shapes and sizes and require different specialised handling, if you need piano removals you’re looking at a completely different job to delivering china plates and different specific preparations as well. Whatever breakables you’re moving it pays to research available couriers to find the best value and most qualified courier. Delicate goods couriers can come in as many shapes and sizes as the items you’re moving, and each will have their own history and experience. So finding one that’s best suited to your item is going to give you peace of mind. Cost: This mainly depends on what you’re moving and where. Most couriers charge a flat rate of £1.20 per mile, but you may pay more if transporting valuables or large items. Conversely you can save money by finding couriers that have spare capacity. Experience: Finding out how long the driver has been in the job and whether they’ve moved similar items before can be a good idea. This isn’t to say that a new courier is no good, but sometimes an old-hand can be your best bet. Insurance: All couriers should have some sort of goods in transport insurance, this covers them to deliver and pick up items, and should pay for anything that breaks in the unlikely event that anything should go wrong. You can usually acquire extra cover, for a premium, if you need to move something particularly valuable. Association: This isn’t required of couriers but it can help give you an idea of the quality of service you can expect. 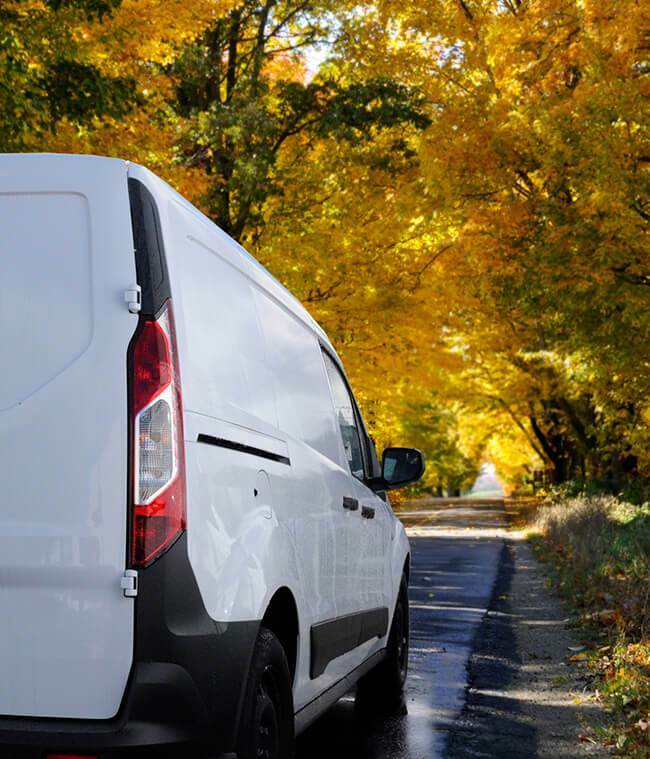 Specialists might be members of organisations dedicated to certain categories, or your driver might be a member of a general delivery body, such as the National Courier Association. Proximity: When you need to move goods over a large distance it’s helpful to find a courier that’s going there anyway, if you can employ a driver that is making a return journey or already making a delivery to your item’s destination you can save a lot on delivery costs. Finding out the credentials, experience and prices of a number of couriers can take a lot of time and effort. Checking the yellow pages or phoning around couriers can only glean you a certain amount of information. The web can help you get a better idea of the delivery services on offer, but not every independent transporter is going to have a website and you still end up trawling through lots of pages. If you want to bypass all that and have couriers come to you with quotes then Shiply can help. By listing your delivery requirements on Shiply you’ll be able to receive quotes from couriers who are able to make the trip. Transporters will quote competitively to try and win your delivery, meaning that the cost goes down. You can then check out the quotes you receive and compare the couriers based on their feedback and reviews from other Shiply users. Once you’ve got a quote that suits you all you have to do is accept it and then you can get your fragile items moving. Once your delivery has been completed by your preferred transporter you’ll want to make a few checks to ensure that your items are ok.
Make sure that your items are undamaged; you should bring up any issues with the transporter immediately. In the unlikely event of breakages you should be covered by the transporter’s insurance. When your items are safe and sound we’d appreciate your feedback on Shiply. Rating your driver and providing a review will help future Shiply users who are looking for cheap fragile item delivery.